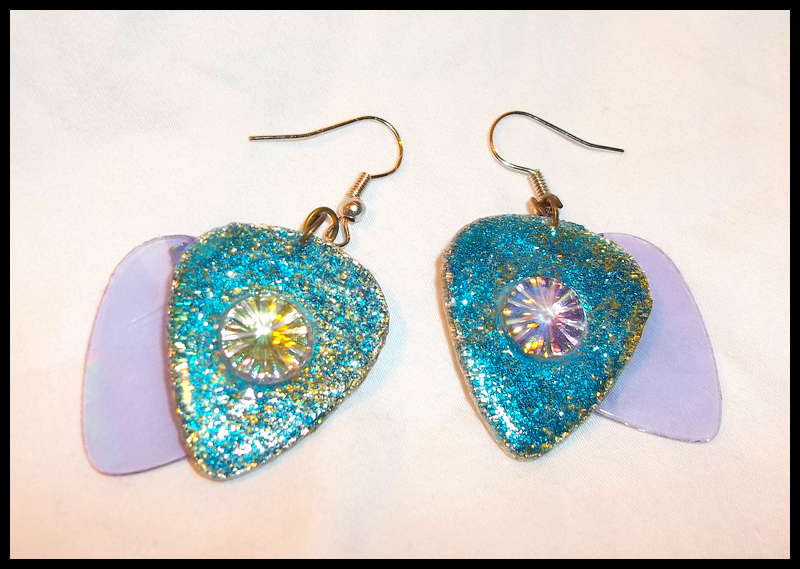 Blue Glitter & CD Material Guitar Pick Earrings! Blue glitter guitar pick earrings with an iridescent flower gem in the center added with dangling CD material guitar picks. The backside of the earrings features a black scribble design over blue glitter. Fish hook style backs.